We offer a truly amazing experience for your child’s birthday …. our spectacular location, with Table Mountain as the backdrop, offers a unique setting for that very special day. This is an ideal safe and secure venue for your children, while also allowing parents and friends the opportunity to relax and enjoy the occasion. 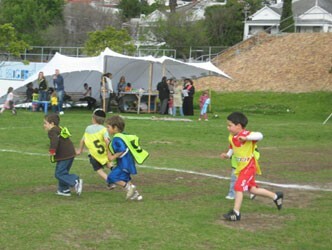 Party kidz can play soccer on our 5-a-side artificial turf arenas and/or on our grasssed main field. Change room and toilet facilities for both genders are available. We provide at no extra cost benches tables and braai facility. No matter what ‘budget’ you have …. we can help you organise that magical and memorable birthday!